The FDA has announced it has withdrawn approval of all applications for nitarsone (an arsenic-based drug) in animal feed as of December 31, 2015. There are now no FDA-approved, arsenic-based drugs for use in food producing animals. Last April, the FDA announced it received a letter of commitment from Zoetis Animal Health that the company will suspend sales of Histostat, the commercial name for nitarsone. This was the only arsenic-based animal drug used in food animals. It is used for the prevention of disease in turkeys and chickens. Studies have found that organic arsenic, the less toxic form of the chemical used in these drugs, can transform into inorganic arsenic, which is a known carcinogen. In 2011, an FDA study found that higher levels of inorganic arsenic were in chicken livers when the animals were fed roxarsone, compared to untreated chickens. Additional studies affirm these findings. Arsenic occurs naturally in the environment and is found in the air, water, soil, and food. It is associated with metals and can cause serious health problems. When organic arsenic becomes inorganic arsenic and is present in food it can have developmental effects on children. 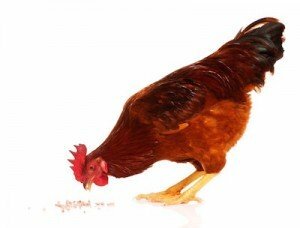 It was added to poultry feed to induce faster weight gain and creating a “healthy color” in poultry meat. The Center for Food Safety threatened a lawsuit against the FDA in 2009 over this issue and submitted a petition calling for the immediate withdrawal of these compounds used as additives in chickens, turkeys, and hog feed. In 2013, the FDA complied, and withdrew three of the four arsenicals. Of the 101 drug approvals for arsenic-based animal drugs, 98 were withdrawn at that time. This final announcement finishes the job by the FDA.